And still that wasn’t enough! 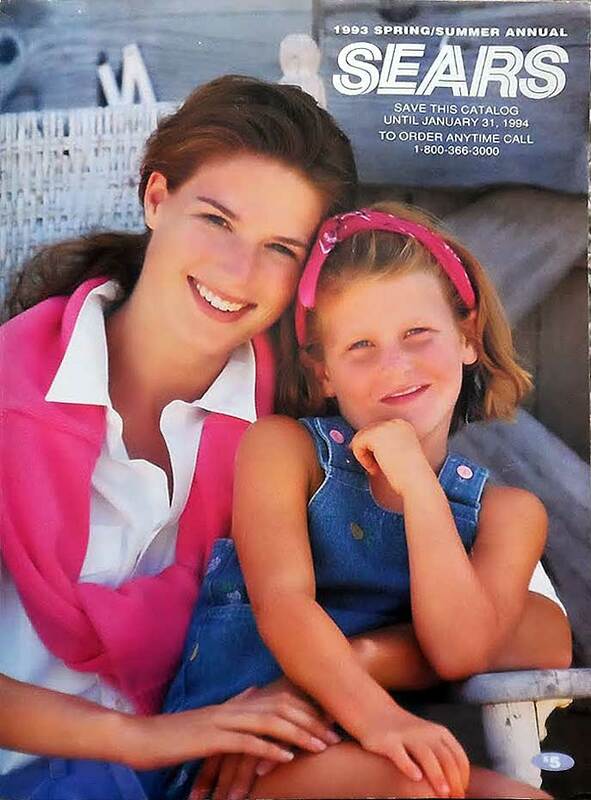 On pages 400-401 there were listings for 18 more Sears SPECIALTY catalogs, each available free to order. There were individual catalogs for mobile homes accessories, sports memorabilia, tools, toys, health care, specialty fashion for full figured women & big and tall men, and more. Sears no longer sold home kits or groceries, but it seems like everything else you could ask for was there. Was this not the Amazon of it’s day? 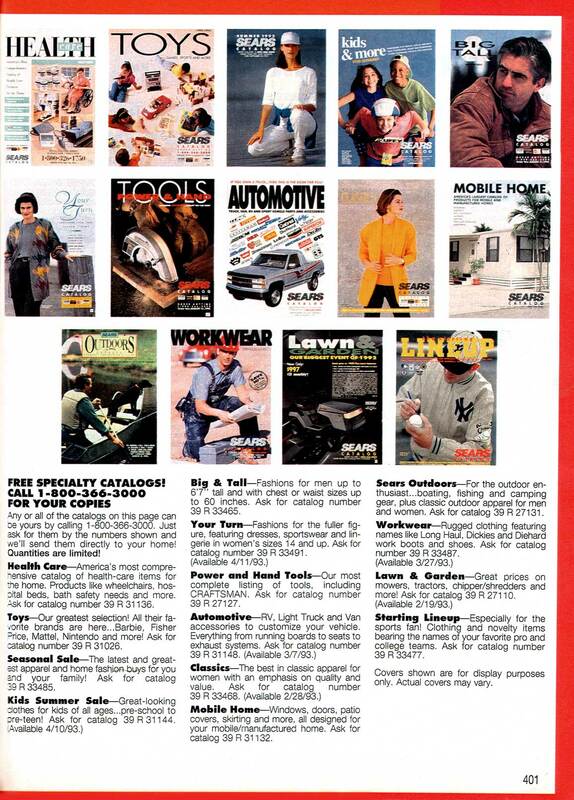 This was the final “Big Book” full line catalog Sears ever produced. So perhaps…less Amazon and more like the last of the dinosaurs – big, bulky, ungainly. And like small agile mammals, the specialty catalogs survived the extinction of the dinosaurs. Next Next post: Screen Doors & Nothing More.